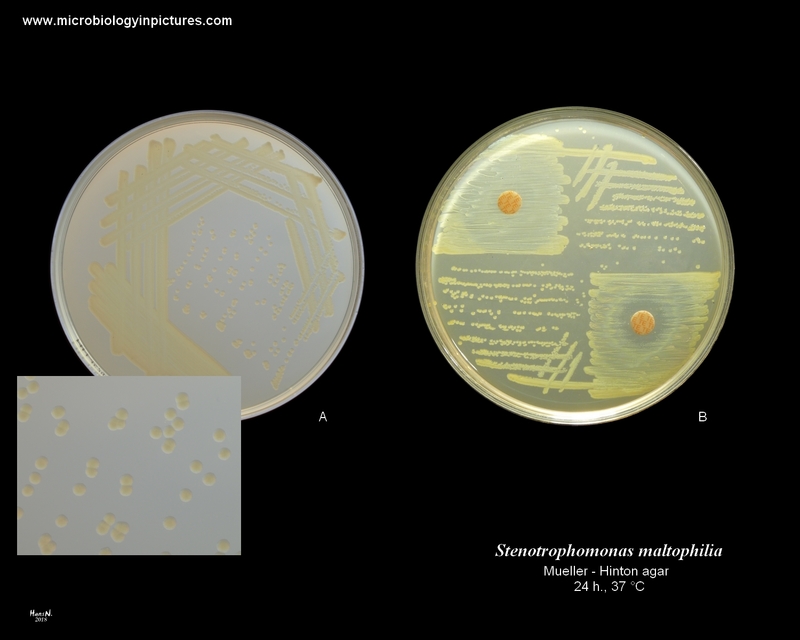 Stenotrophomonas maltophilia yellow pigment production. It's naturally resistant to tetracycline. In the picture you can see tetracycline susceptible subpopulations of S. maltophilia (soil isolates).